Members of the Israeli delegation to the Eurovision song contest in Sweden said they were the targets of anti-Semitic abuse. Members of the Israeli delegation to the Eurovision song contest in Malmo, Sweden, said they were the targets of anti-Semitic threats as they were walking down the street. Alon Amir told Sveriges Radio on Tuesday that he and the other two Israelis were confronted by a group of men. Amir told the men he was from Cyprus “because I knew where it was heading.” he told Sveriges Radio. Meanwhile, Malmo’s outgoing mayor, Ilamr Reepalu, recently provoked outrage after drawing a comparison between anti-Semitism and Zionism. 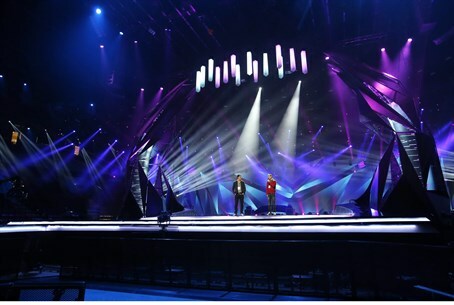 Furthermore, the chairman of the Malmo municipality’s Culture Committee, Daniel Sestrajcic, asserted on Wednesday that Israel should be excluded from the Eurovision, a major international event with delegations from 39 countries. “Israel can return when Palestine is free,” he shouted at a demonstration.